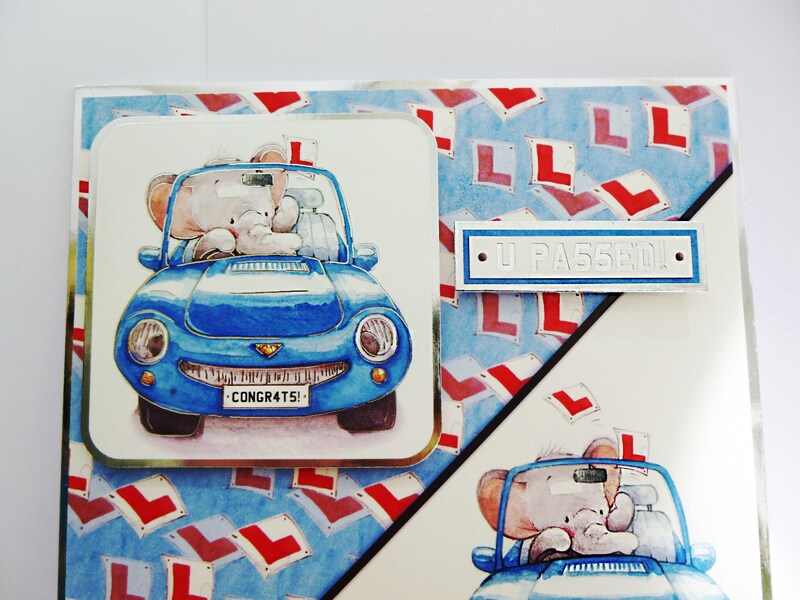 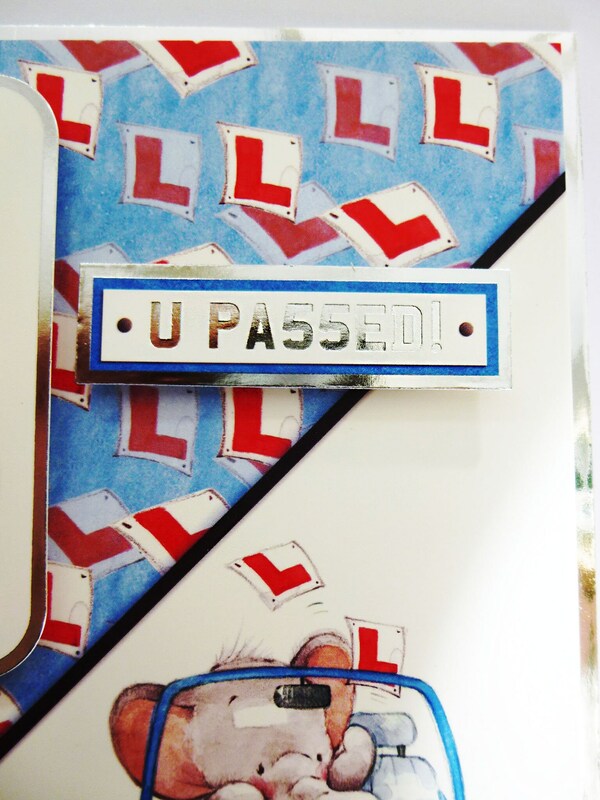 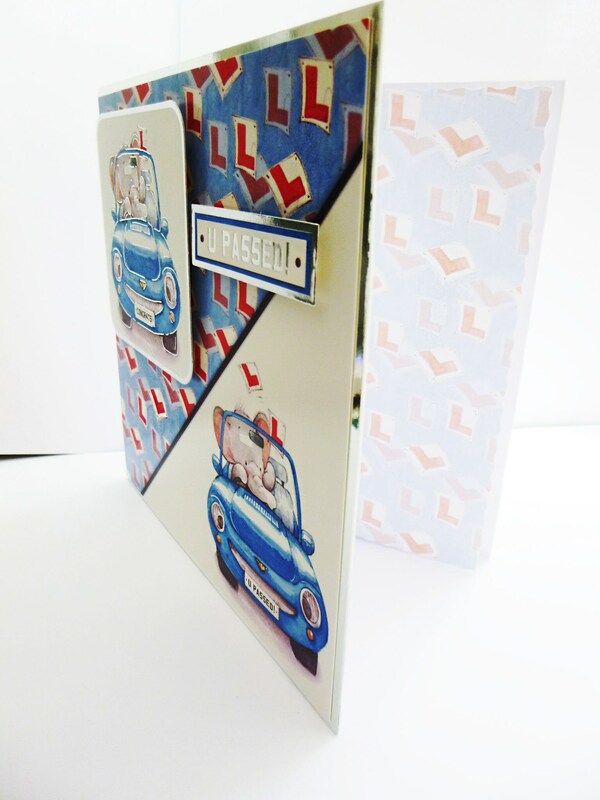 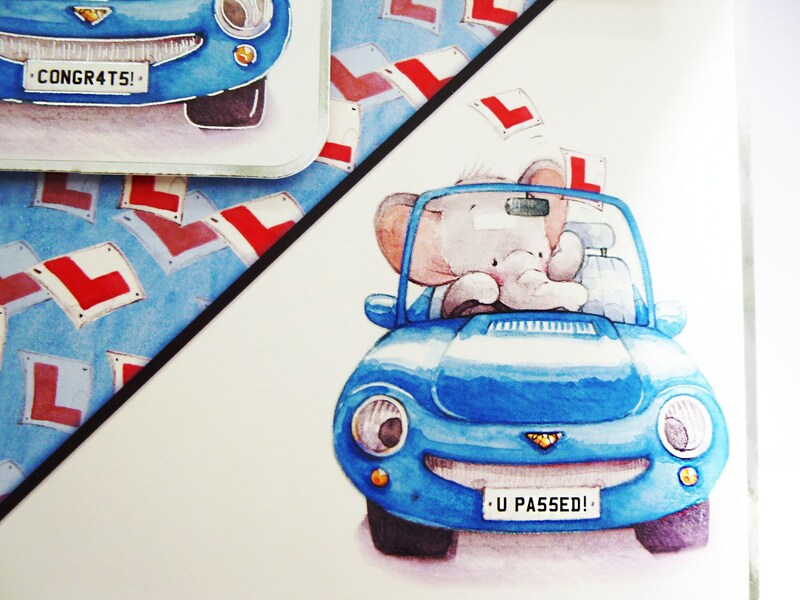 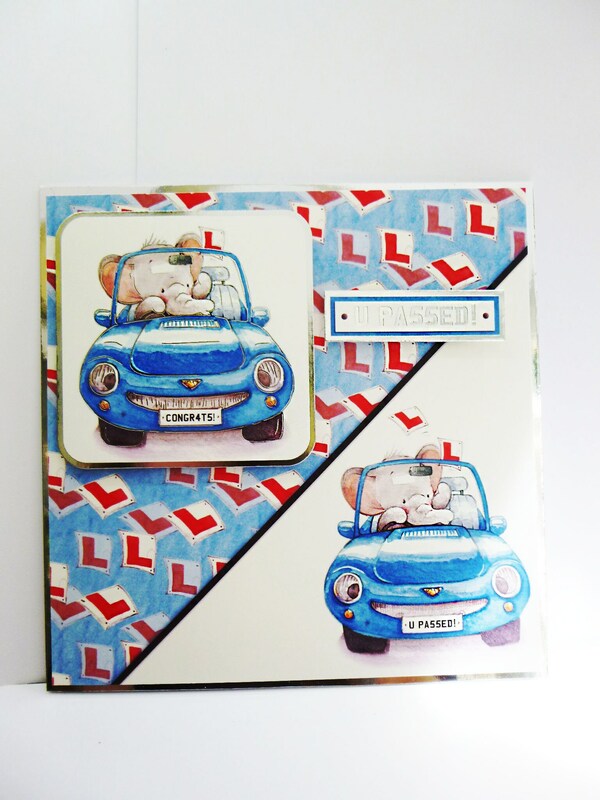 Passed your driving test, made from white base card layered with silver card and patterned card, with a large topper in the top left corner of the card, with a sentiment saying,' U Passed'. 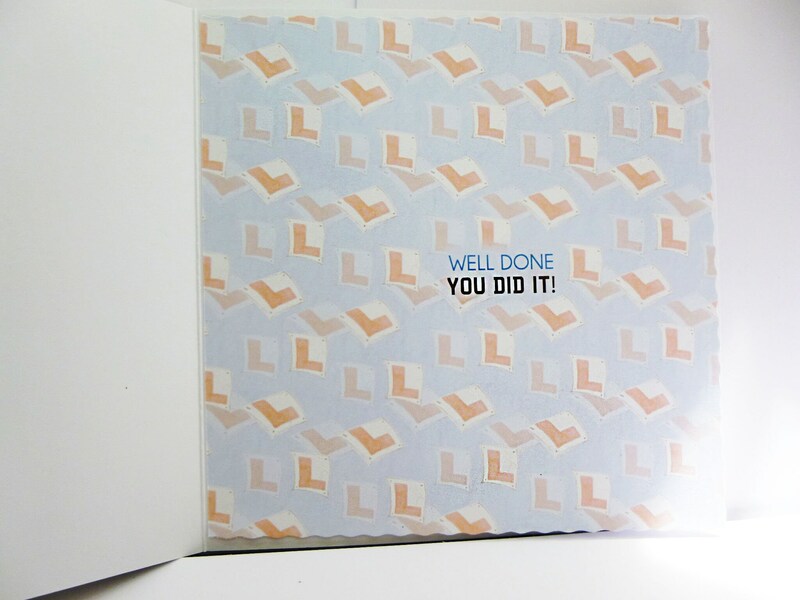 Inside the card is matching insert paper with the words,'Well Done You Did It'. 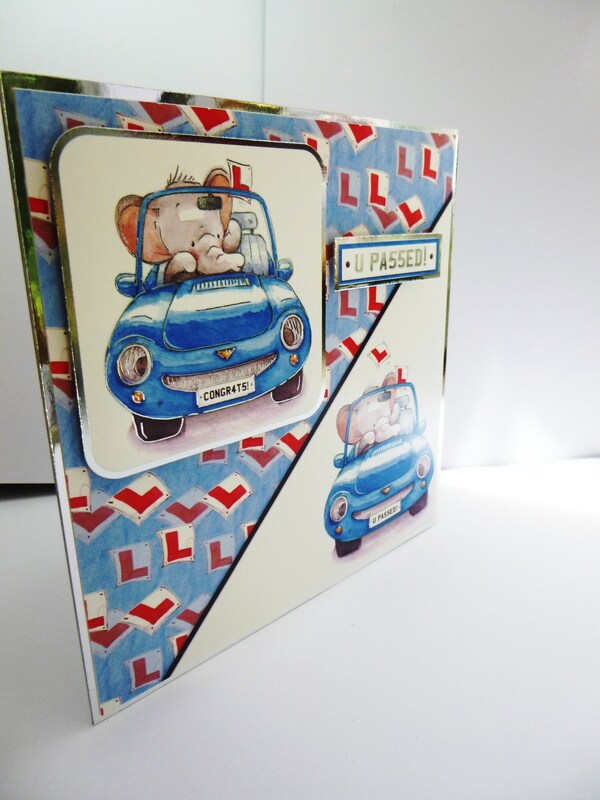 The card measures 7 inch x 7 inch, 18 cm x 18 cm, includes white envelope.